Below is the local Directory for Wee Waa which is a part of the bigger Namoi Business Directory. You can be included for a one off fee of $66. If you want changes to images or any other changes it is charged at $66 and hour including GST. Distinctive Wedding, Family, Portrait & Event photography in the Namoi Valley region & beyond. 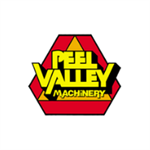 Peel Valley Machinery now has locations in Tamworth, Gunnedah, Narrabri, Quirindi and Wee Waa specializing in John Deere new and used farm machinery, parts and service. Steve Wohling Cropair servicing the agricultural industry for over 20 years. Contact Steve for all your aerial Spraying needs on all types of Agriculture. 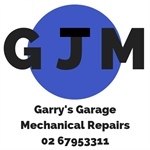 GJM's Auto repairs is in the main Street of Wee Waa servicing all types of vehicles. Gary Mitchell has been in business for over 5 years and does a great job on all vehicles.